A independent cottage in Balcón de Finestrat. Is a big cottage situated in exclusive area of Costa Blanca. 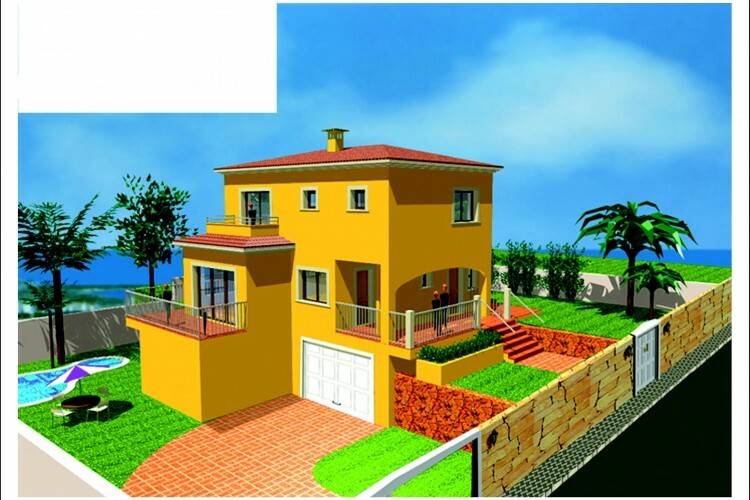 Is semi – constructed house with land. The building has 2 floors and a ground. On the ground has a basament for 2 cars. On the first floor has a large porch, partially covered, a kitchen whith utility room and a toilet. Has a dining living rooom and a terrace and a hall. The top floor has two bathrooms, three bedrooms and a terrace covered. It´is a relax and exclusive area.